In order to ensure that property gets divided as it should upon a person's death, individuals typically enter into Wills or living trusts. While these legal documents can be highly beneficial in easing the process of property distribution, they can often be cause for much distress. It is not uncommon for beneficiaries or other interested parties to be surprised at the contents of the Will, and therefore become suspicious as to its validity. You may be wondering if your loved one was manipulated or coerced into changing their Will or if mental incapacity prevented the Will from accurately reflecting the testator's wishes. Whatever your circumstance, our firm may be able to help you present the clear and convincing evidence necessary to contest a Will. If your loved one recently passed and their Will was unexpected or suspicious, then Domina Law Group is the firm for you. We have helped to both set aside and defend Wills for our clients so that the beneficiaries can get what is rightfully due them. Some of the cases we have handled have included execution of Wills on death beds, Wills that were signed in unusual or suspicious places, Wills or living trusts where people were unnaturally omitted, Wills that were not consistent with the testator's pattern of behavior and Wills that were drafted by lawyers who were selected by the unexpected beneficiary. 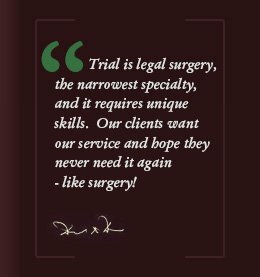 Our experience and success with a wide variety of cases is something to take confidence in. 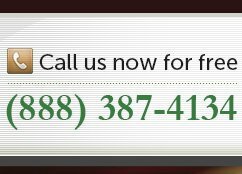 You can trust Domina Law Group. There are many reasons why a person may contest a Will or trust. One of the main reasons Wills are called into question is the mental soundness of the testator. If it can be proven that the testator was not mentally capable to make decisions at the time the Will was executed, then a contest can be successful. Testators are typically old of age and may suffer from senility, dementia or another type of mental illness that can impair their judgment. A Will can only be valid if the testator was of testamentary capacity at the time the Will was executed. Undue influence is another reason why a Will may be contested. Similar to fraud, undue influence is the coercion or deception of the testator. An individual might deceive a testator so that the Will is executed in their favor. Any lying, false friendship or concealment of information can constitute undue influence. The presence of a subsequent Will may also have been cause for controversy upon the death of your loved one. If a second Will is found, then it may change or completely revoke any previous Wills. A Will can also be contested if it was not executed properly. Nebraska has strict formalities that must be met in order for a Will to be valid, but even those Wills that pass the initial statutory requirements may be contested in some cases. Our firm is intensely familiar with Nebraska's requirements for Wills. We can use our knowledge and trial experience to benefit you if you believe you were wronged. Will contests are commonly tried by jury, particularly those ones that call the testamentary capacity of the testator into question or involve issues of undue influence. For this reason, you need an attorney who has extensive trial experience. Domina Law Group has brought more than 300 trials to verdict and has also argued more than 260 state and federal appeals. Many firms talk about their knowledge of trial by jury, but few firms actually execute. There are also alternatives to trial, and your case may be best handled by way of mediation or arbitration. Mediation sessions take place outside of court and involve disputing parties attempting to resolve an issue by way of a neutral third party (mediator). Arbitration is a legal procedure that produces a legally binding outcome. There are advantages and disadvantages to all three avenues of dispute resolution. Domina Law Group is well-equipped to offer all of these services, so speak with us to see which method is right for you. Contact Domina Law Group pc llo today! The firm is led by David A. Domina, who won multi-million dollar jury verdicts before he reached the age of 25. 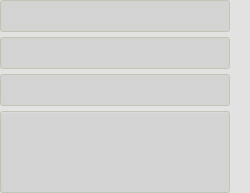 Mr. Domina has accomplished much in his legal career. He received an AV® Preeminent™ rating from Martindale-Hubbel®, was named a SuperLawyer® for the years 2007, 2009, 2011 and 2012 and is also the only attorney in the United States to have won a billion dollar civil case as well as capital murder acquittals. When Mr. Domina and the rest of the firm are called upon to represent clients in Will contest cases, they deliver a high quality service that is unmatched. At Domina Law Group, we do things differently. We strongly believe in assisting those who have been taken advantage of so that they can get justice. Since the firm's inception in 1975, we have been handling each case uniquely so that we can get the optimum results for clients. You have a completely unique issue on your hands, which necessitates a completely unique legal solution. Our firm's experience, knowledge and passion are unparalleled. 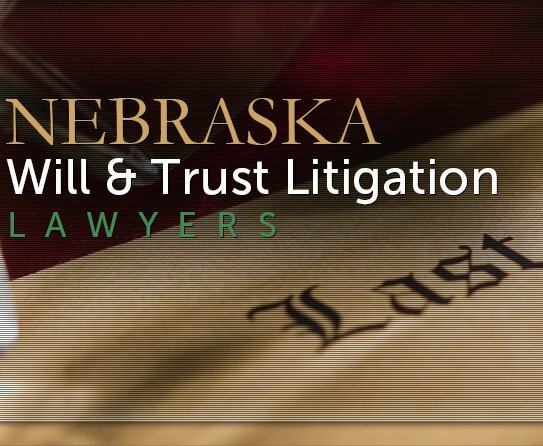 If live in Nebraska and you're ready to contest a Will or living trust, then we encourage you to contact our office as soon as possible for a free evaluation of your case and to discuss your options.